SkillsUSA Meets with The Board of Regents!!! 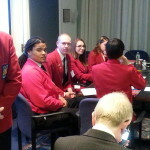 You are here: Home / SkillsUSA / SkillsUSA Meets with The Board of Regents!!! 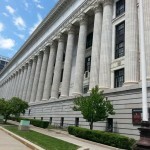 The Board of Regents asked SkillsUSA students and Advisors to come to Albany, on May 19th 2014, and speak to them about SkillsUSA, CTE and what SkillsUSA does for CTE students. This is the first time in history that students were present during a Board of Regents meeting. Ramon Williams (a senior here at WHSAD) was one of the 6 students who spoke to the entire Board of Regents. We made history!